Paterson is both a place the New Jersey city in whom the person (the poet's own life) and the public (the history of the region) are combined. 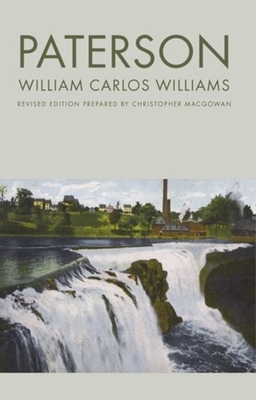 Originally four books (published individually between 1946 and 1951), the structure of Paterson (in Dr. Williams' words) "follows the course of teh Passaic River" from above the great falls to its entrance into the sea. The unexpected Book Five, published in 1958, affirms the triumphant life of the imagination, in spite of age and death. This revised edition has been meticulously re-edited by Christopher MacGowan, who has supplied a wealth of notes and explanatory material.